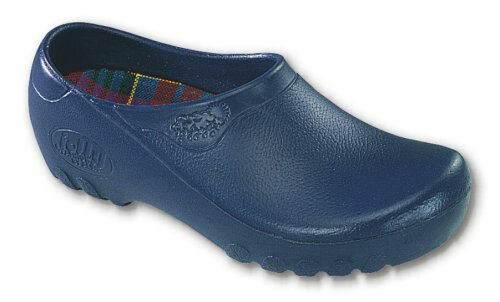 Garden Shoes (closed-heel) are the ideal all-weather shoes for outdoor work and play. 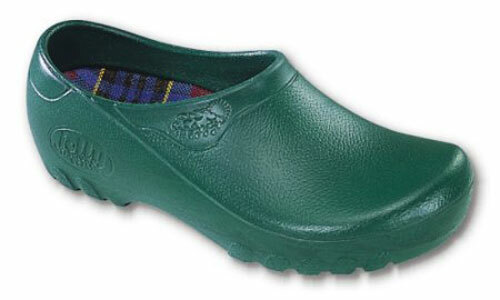 Jollys Garden Shoes are manufactured in Germany. They have been the trendsetters among all-weather shoes for over 25 years! These comfortable, brightly colored garden shoes have been discovered by millions of devoted friends. Whether you prefer the Classic Style with it's traditional "wooden shoe" shape. Or the Fashion Style with it's modern shape and advanced sole pattern for secure footing... there's no end to the occasions where you can wear your Jollys Garden Shoes. 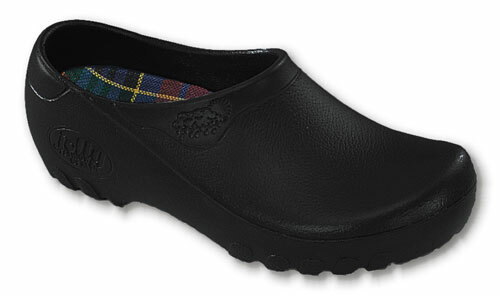 Compared to Jollys Garden Clogs (open-heel), Jollys Garden Shoes (closed-heel) provide a closer fit around your ankles. This helps prevent the entry of dirt and gravel. In the rain, the snow, the mud, your feet will always stay dry and clean. Jollys Garden Shoes are easy-on, easy-off, easy to clean, and nearly indestructible. They are the perfect all-weather shoe for the entire family. Jollys Garden Shoes - the practical way to protect your feet. Garden Shoes by Jollys are light, flexible, waterproof, and extremely comfortable. The secret is the removable orthopedic insole, made from natural materials. We suggest that you wash the insoles periodically... or you can purchase new insoles online here! * Add 7.75% for CA addresses. ©2019 Deianni Imports. All Rights Reserved. Site by designthis!